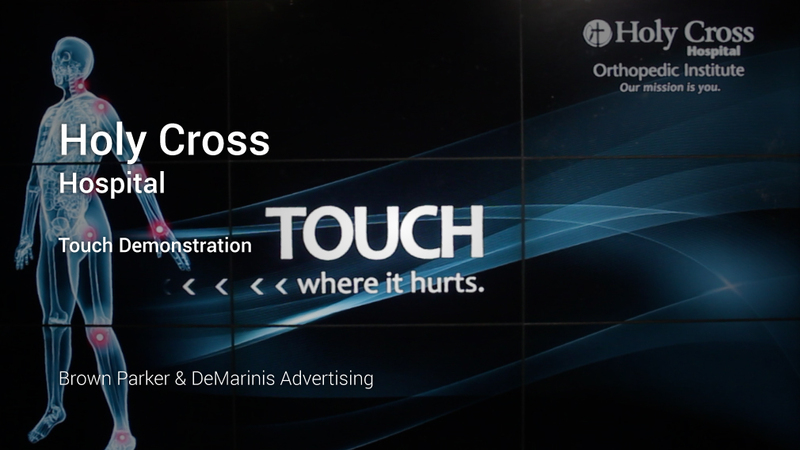 An interactive mall kiosk acquires leads and creates buzz for Holy Cross orthopedics. Holy Cross Hospital is located in Ft. Lauderdale, Florida, with satellite locations throughout Broward and Palm Beach counties. The faith-based, not-for-profit organization is a member of Catholic Health East and is known for cutting-edge research and technology. Holy Cross Hospital is renowned for orthopedics. The hospital was looking to expand the footprint of its orthopedic service line into Boca Raton, a wealthy community filled with retirees and thus a potentially lucrative market for the organization. We can find our ideal target in one place: the mall. South Florida is home to thousands of affluent senior citizens. During the holiday season, they flock from miles around to shop at Town Center in Boca Raton. 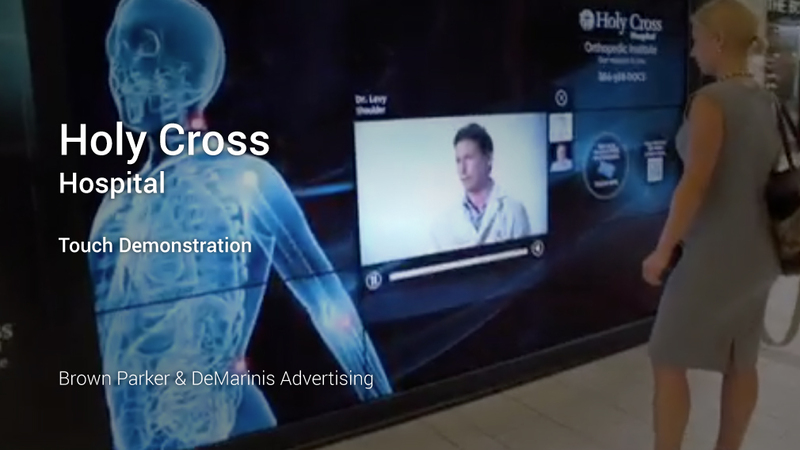 We created an interactive experience inside the mall with an entertaining touch-screen kiosk that included videos. It stopped people in their tracks, promoted the hospital’s best orthopedic surgeons, and incentivized shoppers to schedule an appointment. During the two-month span, the display generated more than 1,000 new surgical leads, prompting Holy Cross to expand the program.